Luap wrote: I hope that wherever the home/forum of the x0xb0x gets offloaded to, we get some good support. Because it sure would be appreciated by many. quite a lot of the support the forum has given has been completely community based, mome rath and myself aren't anything to do with adafruit either. Just bought a kit and I see now they are sold out! Thanks James, and good luck! Hope you make this your business for quite some time. no problem, i don't need anyone to go out of their way to be nice, my expectations are pretty accurate when it comes to messages in forums :) that being said, i won't let anyone go out of their way to be mean either in these forums. consider it a friendly warning, keep it positive here folks :) we've worked really hard to do the best we could for over 1,000 kits and now the project will live on, be better supported and have a better parts supply. the project is open source, the forums are open here - the documentation is still up and always will be - and it's still amazing. one of the best projects ever for open source hardware and for synths. we're really lucky to have found willzyx. exactspace wrote: Just bought a kit and I see now they are sold out! Thanks James, and good luck! Hope you make this your business for quite some time. I will be supporting x0xen for the long haul and am very excited to be a part of this awesome project. 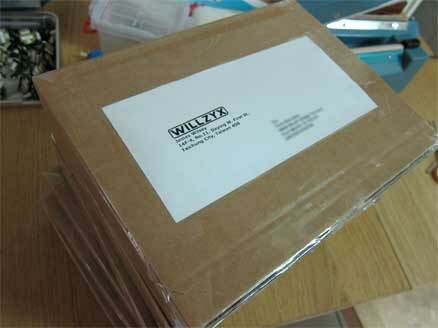 Willy, will you be stocking any of the other non-rare (er, uh, "common") x0x parts (LEDs, switches, etc.) that were so fleetingly available in the adafruit shop? 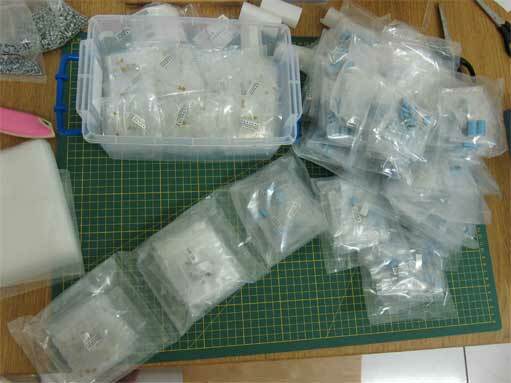 Miminashi wrote: Willy, will you be stocking any of the other non-rare (er, uh, "common") x0x parts (LEDs, switches, etc.) that were so fleetingly available in the adafruit shop? Thanks I hope that I will have some kits up on the site soon! does this mean you're adding "full" kits to your inventory soon? mome rath wrote: does this mean you're adding "full" kits to your inventory soon? Full kits are coming soon. I will give an exact date when they will be available in a few weeks. just a quick note to let you all know James offers really great service and ships really fast ! "If you lick the ciruit board you will get very high." Just a note, my boards arrived today to Michigan, transit time was exactly one week via cheapo shipping. Thanks James! Its exciting to see that the first shipments are arriving. If you guys need anything just let me know. Edit: Forgot to mention that they will be $350 a kit.